Father returns from year-long overseas deployment to surprise son at graduation ceremony in Marshfield, Mass. 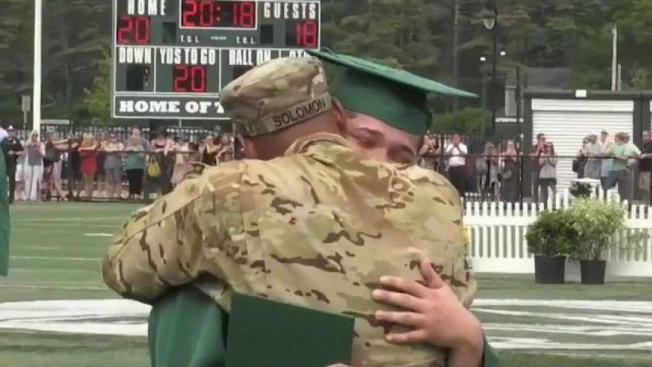 A Massachusetts high school student got more than his diploma Saturday when he received a heartwarming surprise as his father unexpectedly returned from a year-long stint overseas in the military. Marshfield Student Broadcasting posted the emotional video on Facebook. In the video, the student, Tyler Solomon, is seen accepting his diploma. He then catches a glimpse of his father, Army Sgt. Damon Solomon, who is still in uniform. The emotional graduate rushes from the stage to embrace his returning dad. Tyler wasn't the only one surprised at his father's return. 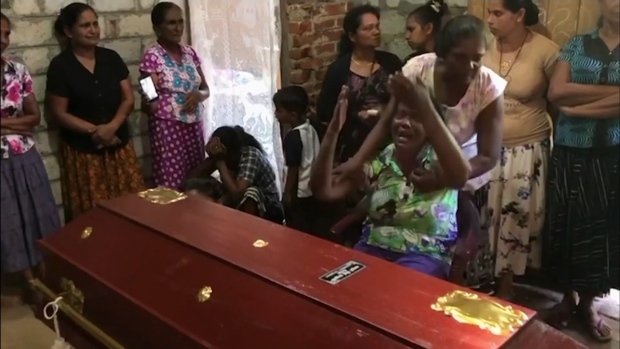 Apparently, the entire family was kept in the dark until his father arrived at the football field where the ceremony was held.